If the seasons had an opening or ending song picked sa pamamagitan ng you, what would you pick? If you only have one or two that's okay. Just give me an idea what Yugioh would be if you picked the opening/ending. 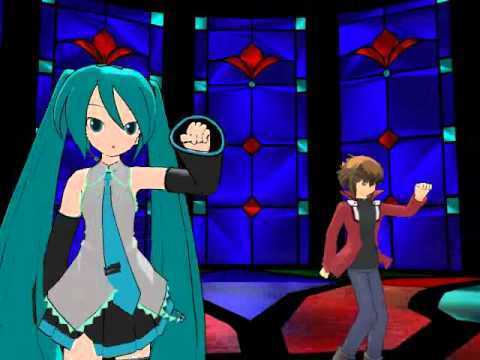 I would have Hatsune Miku Vocaloid sing the music for Yu-Gi-Oh. It has been known that Hatsune Miku even though she is a Vocaloid. She did appear in some Anime. And she did she openings and ending songs for some Anime. So i can see this happening for Yu-Gi-Oh series as well. Click on the link. ----> https://youtu.be/5-Du7Zkhe-0 If the link don't work. YouTube paghahanap Hatsune Miku Yugioh.